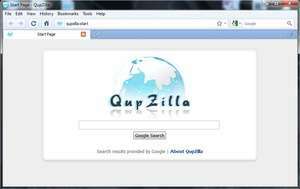 In a world where there are no more than 3 mainstream browsers (Internet Explorer, Firefox and Chrome), QupZilla joins in as an alternative to the above three. In terms of layout design, QupZilla includes several custom skins which take advantage of window transparency and notifications. Version 3.1.0.75 is a freeware program which does not have restrictions and it's free so it doesn't cost anything. For security reasons, you should also check out the Falkon (Formerly QupZilla) download at LO4D.com which includes virus and malware tests. Additional screenshots of this application download may be available, too.